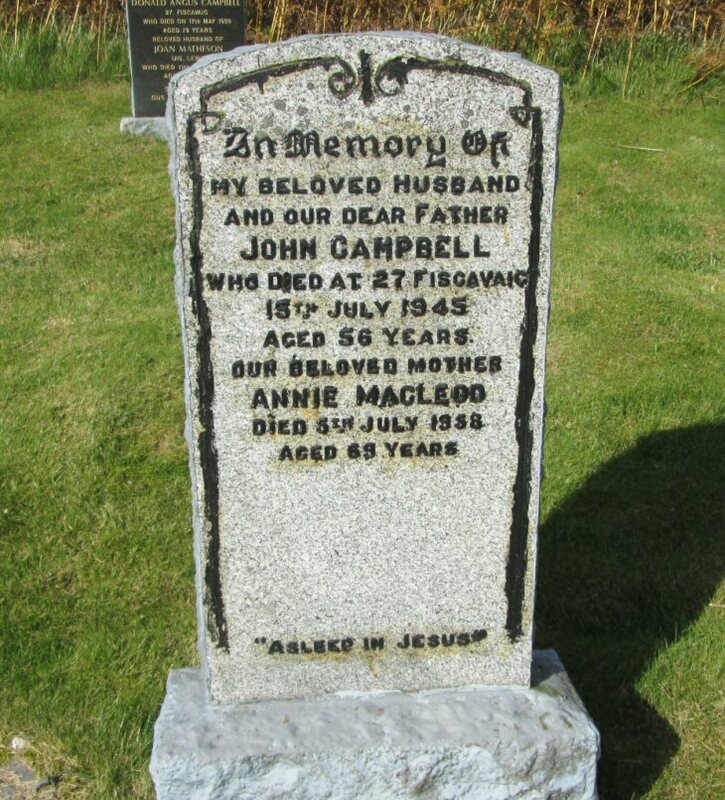 Skye Gravestones | John & Annie (Macleod) Campbell. John & Annie (Macleod) Campbell. In memory of/my beloved husband/and our father/JOHN CAMPBELL/who died at 27 Fiscavaig/15th July 1945/aged 56 years/our beloved mother/ANNIE MACLEOD/died 5th July 1858/aged 69 years. Picture Added on 13 January 2014.